Story #1, Yuri Hereha: "Greetings from Crete!" 1. Tell us about yourself and what do you do now and where you live. Hi my name is Yiouri Hereha i am 25 years old i am originally from the beautiful city of Lviv Ukraine and i live in the beautiful island of Crete in Greece for more than 15 years already. I am dj for 6 years professionally but i am in the music business for more than 10 years. I started as a party organizer for the school parties and i was very amazed with djng so i asked my mom for turntables one christmas and she got them to me so thats where all started for me. Then the dj of one of the school parties didn't showed up so somebody had to play and i said yeah ok i will do it. I did it and i was really shocked by the reaction that you get from the people in the clubs when you play music. From that moment i knew that i want to be a dj. 2. Is there a difference in lifestyle between Greece and Ukraine? Yes there is a huge difference between Ukraine and Greek lifestyle. The most obvious is the climate difference, in Greece we have around 250 sunny days and the temperature the whole year is around 20 22 degrees of celsius but in Ukraine there is around 100 sunny days per year and the temperature is around 13 to 14 so there is one. Another one is the different mentality of people. For example In Crete people are more relaxed and open to other people that in Ukraine, in Crete you see a lot of people work only during the summer season and in winter time they get their rest time but in Ukraine you see people working the whole year only for 3 or 4 weeks of holidays. And the last one is i will go a bit extreme on that but in believe it so i just say it. I think that in Crete the people are more happy that Ukraine, maybe is the sea or the weather or the mediteranian food and products but they really are. 4. How do you find inspiration every day? Uff thats hard one to think. I believe i find inspiration in music mostly but the are some other sources as well like other people, food, friends, weather. Yeah that pretty much it for me. Mine project at the moment is to make my own music and develop my sound. I am going to finish my studies at the SAE institute of Berlin this March so i am really looking forward about it. 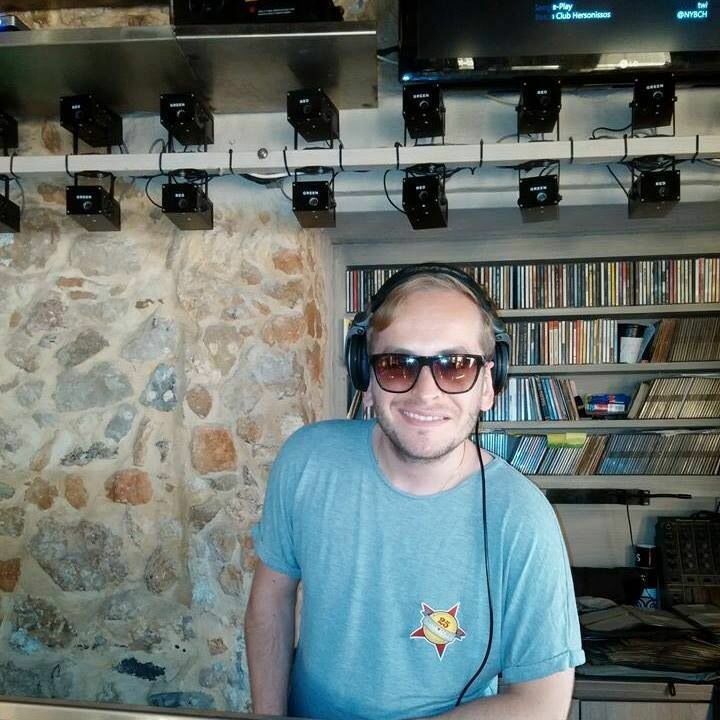 Also there always is the djing thing i will keep on touring in Crete and also in Europe. Aw and there are some interesting things that are planed for 2015 in Moscow . I don't know if it will sound cliché nut my hobby was and still is music!! When i have free time i aways keep my self busy with music either making my music or just keep my self updated. 6. Which unusual present have you received or given to somebody? Haha that is funny. The most unusual present i got is a t-shirt form a fan that says (i Love Yiannis) Yiannis is my good friend and my parter dj in New York Beach Club where i am resident for 2 years already… The one i gave to someone is deffinetly is kids clothes that i gave it to my nephews. I am not used to buy clothes on that size hahaha!!! Treat the people around you the same way that you want to be treated from them.